Hit by a ball thrown from the opposing team. Throwing a ball that is caught by the opposing team. 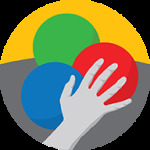 Having a ball knocked from your hands.Teams play 2 matches each week. The Spring season will play at The Gym at West End in Allentown. Games will play on Tuesdays starting at 6:30pm each week. The bar sponsor for the season is TBA. Depending on the number of teams, teams will be split into separate playoff brackets based on their record at the end of the season. All teams must have at least 10 players and must have a minimum five members present to be able to play (two female players). Teams may use a substitute player. All subs must sign the waiver before playing. Subs do not receive league shirts. There may be cases out of the control of Lehigh Valley Sports Leagues that require schedules and/or venues to change. Lehigh Valley Sports Leagues will make every effort to maintain schedules and locations, there is no guarantee on number of games, times and locations. The team that wins the league will be awarded a gift card to the bar sponsor for the season. Check out this Dodgeball league '19SPR - DODGEBALL COED (RATIO 6:4) - GYM @ WEST END (TUESDAYS)' with Lehigh Valley Leagues!